Freekeh is fire roasted, young, green wheat, it’s often cooked like rice or in a soup. 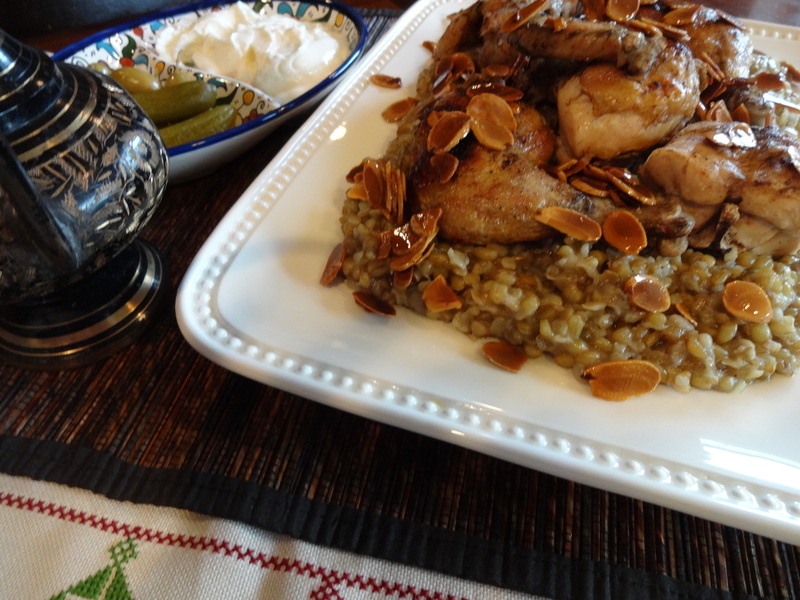 Freekeh is one of the traditional favorite foods in Palestine. It’s an excellent source of protein, fiber, vitamins and minerals. It has an earthy, delicious flavor. 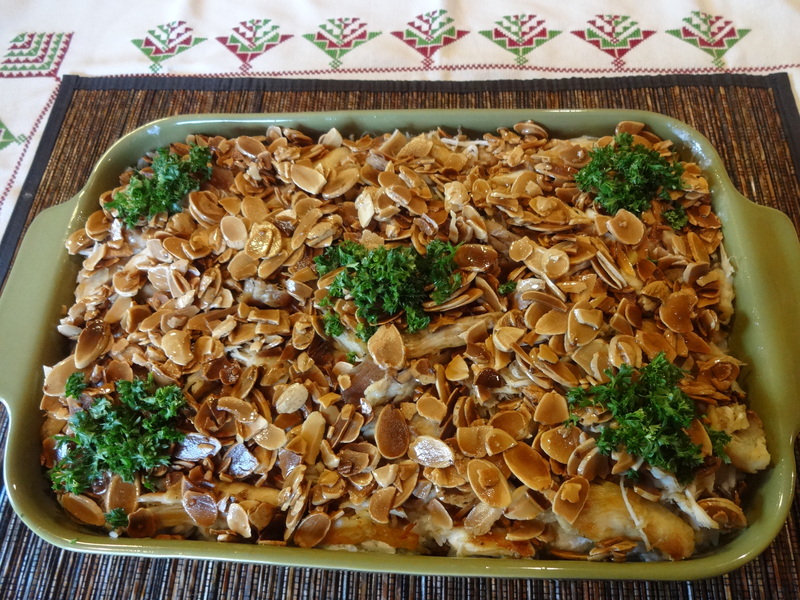 Mansaf freekeh is cooked freekeh topped with your favorite meat and toasted almonds.